My favorite food truck by far. The specials are amazing and they are also always very nice. After a couple weeks they still remember me. good news: Courthouse is the Monday destination! How good? Today, a group of four guys were ahead of me in line. One of the four decided to order from another truck instead. His friends chased after him to try to convince him to change his mind. This lunch truck is that good. I'd give it six stars if I could. awesome food, awesome service. love the caramelized kimchi! Fantastic and authentic Korean. 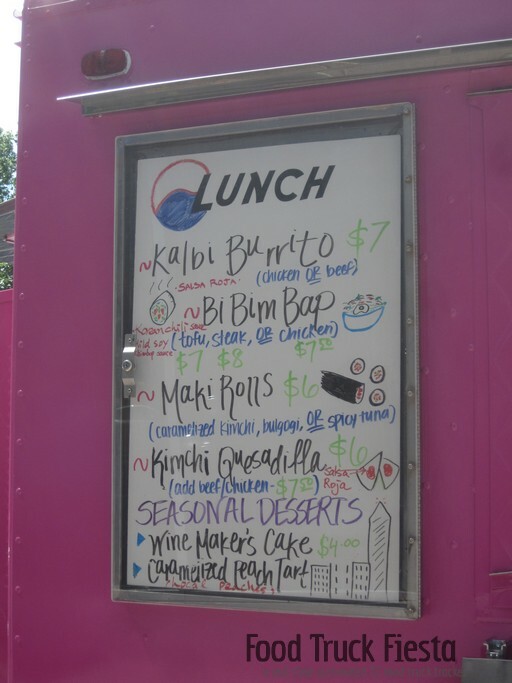 Seasonal PAS Bowl was the best thing I've had at a food truck to date. Seoul Food D.C. opened on August 22, 2011 and operates in Arlington, VA with Chef Hyun at the helm. Their cuisine is Korean-fusion, including menu items like Kalbi Burritos and Kimchi Quesadillas. Hyun graduated Sogong Loyola university in Seoul. Once in the U.S. she graduated from L’Academie De Cuisine furthering her love for vibrant whole food. She completed an internship at the Ritz-Carlton as a Pastry Chef. Currently Hyun assists Whole Foods Market as a pastry chef. Mission statement: To serve the most delicious, wholesome, beautiful, local food available in the Washington Metro area quickly, cleanly, and economically. Seoul Food will be featuring a variety of Korean/Japanese recipes, including Bibimbap – using only local grass-fed beef, local chicken, organic tofu, cage free eggs, and 100% pole and troll caught Skipjack tuna. None of their proteins have added hormones, antibiotics, and their chickens receive an all vegetarian feed. Besides a variety of Bibimbap, Seoul Food will be serving Maki rolls, Kimchi Quesadillas, and an assortment of Asian fusion breakfast dishes. 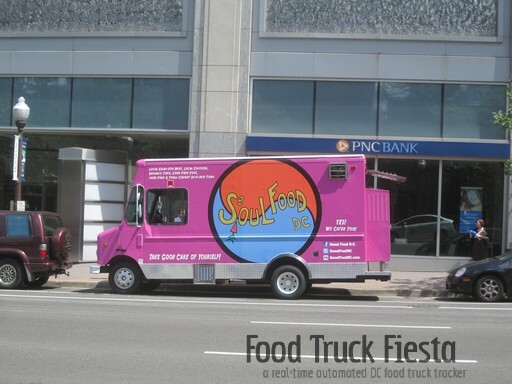 Seoul Food D.C. is owned and operated by Hyun and J. P. Goree. Hyun grew up in South Korea, her culinary skills are the culmination of years of nurture as well as her natural artistic nature. A child of this ancient whole cuisine Hyun skillfully balances flavors, textures, and colors to create truly wonderful food. The clean fresh shores of Lake Superior are the backdrop of J.P. Goree’s youth. This is where he fished, hunted, and worked as a chef and meat cutter. He attended the University of Wisconsin where he developed a keen appreciation for sustainable land use practice and a respect for nature in general. Some of Seoul Food D.C.’s influences along with the Whole Food revolution are: The Omnivore’s dilemma, Food Inc., and, Fast Food Nation.